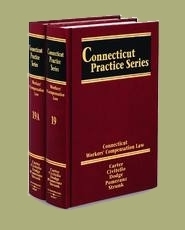 Connecticut Practice Series on Connecticut Workers� Compensation Law is now available. � The Trial and Appellate work that creates our Workers' Compensation Law. (Customer Assistance, Thomson West). Or by clicking HERE.